Your party is waiting for the minibus you have booked for their special day out when around the corner comes a gleaming, swish looking Mercedes 16 seater or Volvo. Imagine how pleased members of your party will be. 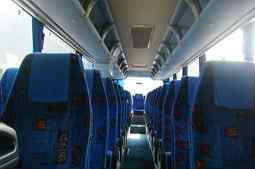 We at Hitchin Minibus Hire can make that happen, we are very much a people focused business. Our aim is to make you and your party happy and we know the best way to do it is to not only give you what you want but to exceed your expectations. The testimonials we receive from our customers tell us we are good at this. 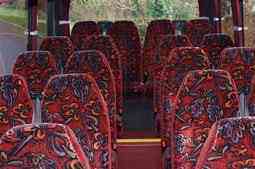 For minibus hire in Hitchin you, like hundreds of other customers, will find us hard to beat on both quality and price. Minibus hire is a competitive market and minibus hire companies come and go but, by hard work and giving customers a first class service, we have built a reputation that proves we are no johnny-come-lately. Straightforward pricing and clear invoicing with no hidden extras. Access our website and complete the on-line booking form. Remember to also tell us how much luggage your party will have with them and whether there are any other special requirements. Alternatively you can book by telephone. Our agents are always delighted to help you choose the right package for your party at a price that suits your budget. Once we have all your details we aim to respond with a quote within 30 minutes, after which, it’s up to you. We are more than happy to cater for elderly people or others with limited mobility, similarly we are always pleased to hire minibuses for groups of people with disabilities. Of course, where this applies, we will talk to you in detail about your requirements and anything we can do to help your outing live up to expectations. Hitchin is a market town in Hertfordshire, covering postcodes SG4 and SG5, it is home to around 33,000 people. Hertfordshire is one of the Home Counties, so described because of their proximity to London (38 miles). In March 2013 The Times newspaper voted Hitchin the 9th best town in the UK. The area now occupied by the modern town was described in the Domesday Book as a Royal Manor. The main part of St Mary’s Parish Church dates back to the 15th century although the tower are early 12th century. Although historically the town’s wealth was built on wool and grain trading, today Hitchin is a dormitory town for London. Entertainment in the town is provided by the Market Theatre which boast a full programme of comedy, music and drama. Hitchin is home to the British Schools Museum and holds the annual Rhythms of the World Festival, which was until recently the largest of its kind in Europe. Hitchin is a great place from which to hire a minibus and visit other areas of like nearby Stotfold Water Mill and Nature Reserve or to go to Hitchin Swimming Centre with its open-air pool. Take a trip to the historic town of St. Albans or Visit Bletchley Park Museum and learn more about how the people working there during WWII broke the German ENIGMA code; perhaps your church society might enjoy afternoon tea in Bishop Stortford. The opportunities are endless. Hitchin is an idea place from which to visit London. Our drivers know the city well and are able to navigate it with ease and ensure you don’t miss out on its many sites and attractions. Hitchin has a range of hotel accommodation and with Heathrow Airport only 44 miles away its a great place to stay the night before you have to take that important flight. The town is on the Great Northern Railway line with direct connections to London, Stevenage, Peterborough and Cambridge. 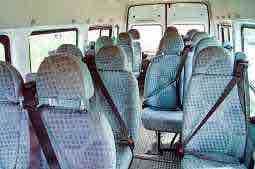 Minibuses for all types of outing. Hiring a minibus means that we can collect members of your party from their homes or from a central point. No one has to shoulder the responsibility of driving. Everyone in your party will arrive at the destination on time and together, no need to worry about traffic hold-ups or late trains. Choosing to travel by minibus really is choosing to travel in style. Whatever your requirements, at Hitchin Minibus Hire we know we can meet them so contact us today for a service you simply can’t better.